Bite into an explosion of flavors! 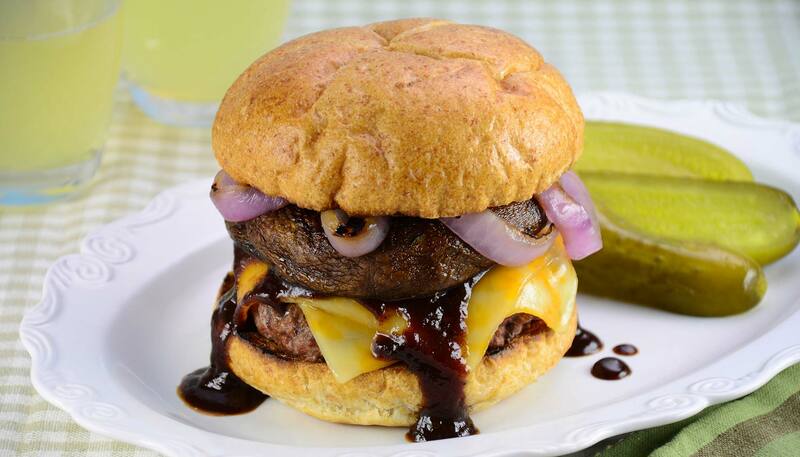 This hearty cheese burger is stacked with tomato slice, juicy beef patty, and a whole Portobello mushroom! 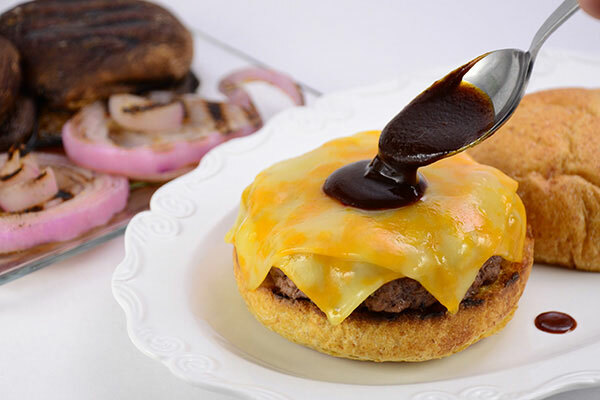 The Colby-Jack cheese and barbeque sauce complements the burger flawlessly. 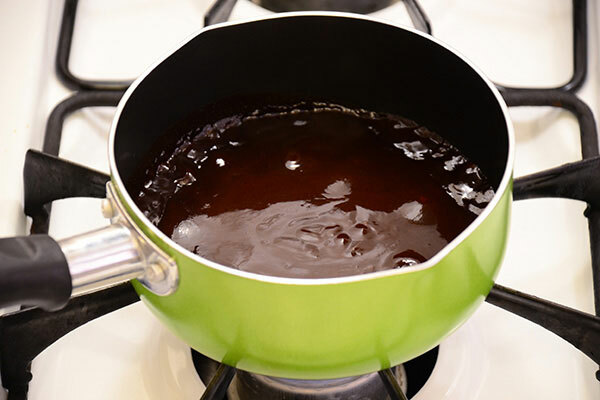 Place all ingredients for barbecue sauce into a small pan, mix and simmer at low heat for 3 minutes. 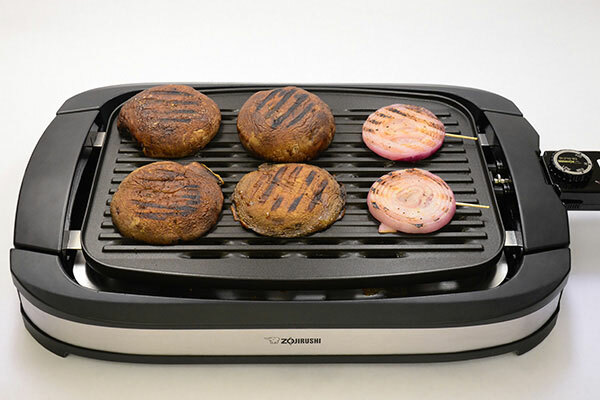 Preheat the Indoor Electric Grill at "HI" for 6 minutes or until the operation light turns off. 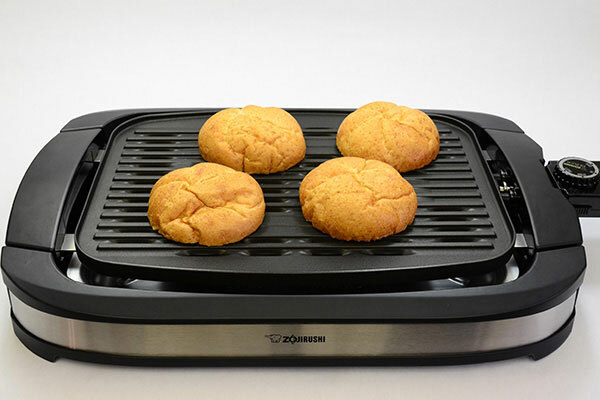 Lightly grill the cut side of burger buns, and set aside. 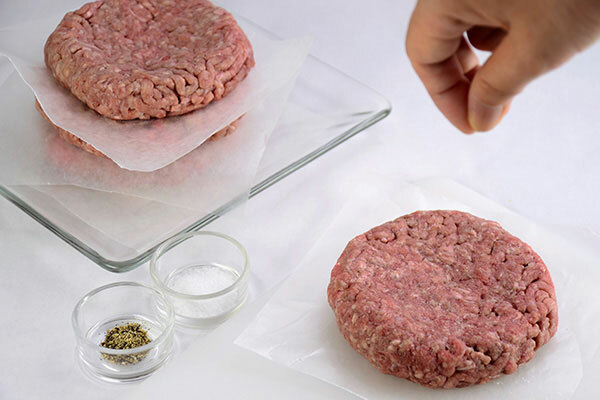 Divide ground beef into two 3/4-inch thick patties. Slightly dent the center of each patty. Sprinkle salt and pepper. 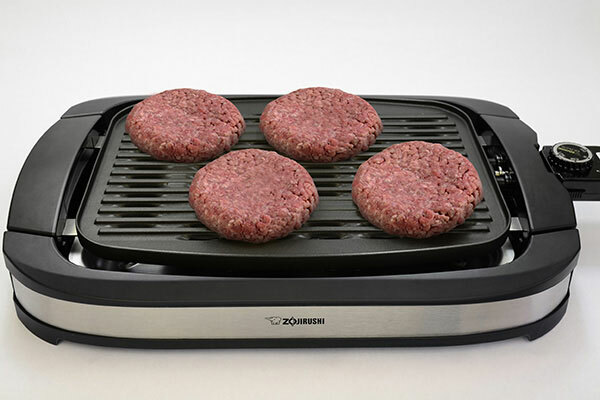 Place patties on the preheated grill and turn the heat down to "MED". Please be careful of the hot grill. Flip patties after 4 minutes or until half-way done. Cook the patties for another 4 minutes or until done. 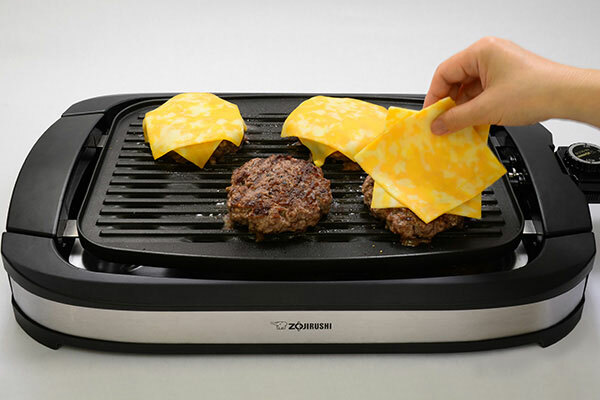 Place 2 slices of cheese on each patty. Set aside and keep warm. Pierce the sides of the sliced onions with toothpick for easy flipping. Brush mushrooms and onions with olive oil. Sprinkle salt and pepper and place on the grill. Turn the grill heat up to "HI". Flip onion and mushrooms after 3-5 minutes or until half-way done. Cook both sides to taste. 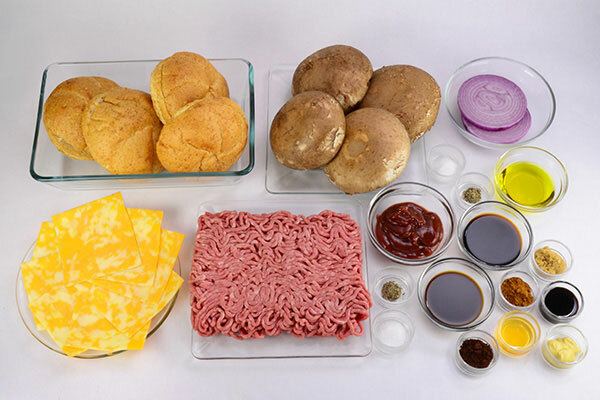 Assemble burgers with patty, spoon over barbecue sauce, mushroom and onions. Serve immediately.